A work by the writer Mikhail Shkarovsky claims the Third Reich had the Phanar in its sights. The pro-Soviet positions and the support of the "innovators". Ilarion: So far we had kept silent. A "technical" answer to the crisis in Ukraine. 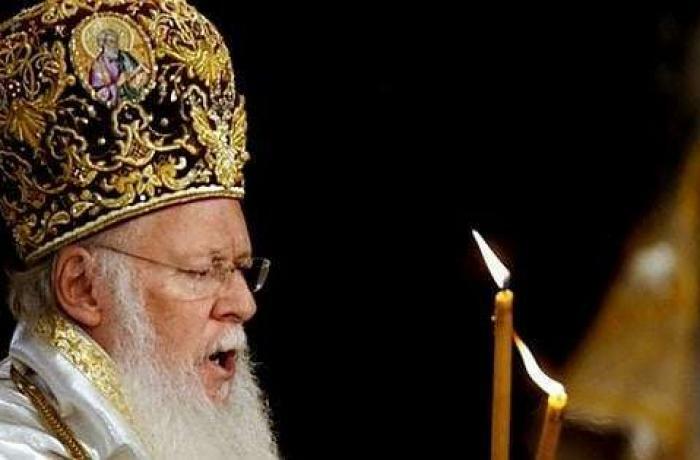 Moscow (AsiaNews) - The editorial council of the Patriarchate of Moscow, headed by Metropolitan Kliment (Kapalin), has sponsored a book that is an attack on Constantinople, the work of the historian Mikhail Škarovskij, a specialist in the history of the Church in the twentieth century. The volume is entitled "The Church of Constantinople and the Russian Church in the period of great upheavals. The years 1910-1950 ", and was presented last February 27 at the Department for External Affairs of the Patriarchate of Moscow, chaired by Metropolitan Ilarion (Alfeev). Shkarovsky’s book reveals that between 1936 and 1944 the Nazi regime attempted to assimilate the patriarchate of Constantinople within the sphere of influence of the Third Reich, without however succeeding. The author claims the Hitler regime believed that the Phanar (residence of the ecumenical patriarchate in Istanbul) would have been useful in the promotion of Nazi propaganda. According to Shkarovsky, "in the period between the end of the First World War and the beginning of the Second, the patriarchate of Constantinople insisted on an anti-canonical policy of enslavement of the dioceses and of the autonomous Orthodox Churches, which continued after 1917 beyond the boundaries proper to the mother Church, above all of the Russian one". Within Soviet Russia, the book claims Constantinople also supported the so-called "Novice Church", the reformers loyal to the Soviet regime. The author points to the fact that the Phanar did not condemn the moves of the "innovators", who in 1922 had attacked the patriarch Tichon unilaterally reducing him to the lay state. In this way, the Phanar indirectly supported the choices of OGPU (predecessor of the KGB) that supported the "living Church" of the innovators in order to destroy the official Church, contemptuously referred to as "tichonovščina". The ecumenical patriarch Melezio IV even proposed to allow the second marriage of priests and a married episcopate, which were precisely the main proposals of the Russian innovators, taken from the discussions of the Moscow Council of 1917-18. The successor of Meletius IV was Gregory VII, expelled by the Turks to Egypt. In 1924 he sent a letter to Moscow to announce the passage of the Constantinople Church to the Gregorian calendar, another of the ideas of the Russian innovators, who considered this choice to be a recognition. From that moment on, the innovators supported the primacy of Constantinople not only as an "honorary", but also as an administrative one for all Orthodoxy, which the Moscow Patriarchate has always refused to admit. Indeed, the Soviet leadership proposed in those years to move the residence of the ecumenical patriarchate, then in exile, from Istanbul to Moscow, or Petrograd or Kiev, but Gregory VII refused the offer, demanding first the resignation of the patriarch Tichon of Moscow. According to Shkarovsky, the patriarchate of Constantinople subsequently operated, in a constant manner, against Soviet politics, during the years of the civil war between white and red and then during the period of the cold war. The Phanar opened its own dioceses in the US, in the Baltic countries, in Finland, Czechoslovakia, Poland, all areas sensitive to the patriarchate of Moscow, fueling a conflict very similar to that currently underway in Ukraine. The Sokovsky book seems in effect a "technical" response from Moscow to the "non-canonical" politics of Constantinople in Ukraine, projecting ghosts of the past on the events of today. 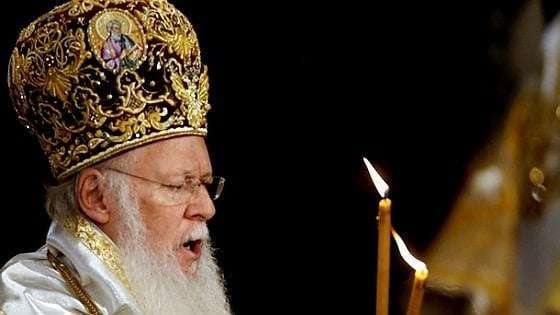 According to Metropolitan Ilarion, "in the past we have preferred to avoid talking about these past events, hoping to overcome the violations of the canonical rules with the sincere repentance of Constantinople and our fraternal love". Today perhaps only a pale remembrance of fraternal love has remained, while the past returns to assert itself with all its contradictions.